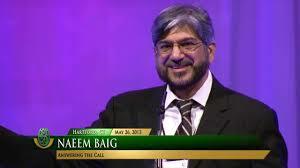 The President of Islamic Circle of North America, Mr. Baig previously served as Secretary General of ICNA for three terms and on the Majlis Ash-Shura from 2010-2012. He is currently the ICNA Vice President for Public Affairs and the Executive Director of the ICNA Council for Social Justice. He is also the Chairman of the National Coalition to Protect Civil Freedoms (NCPCF) and the American Muslim Taskforce (AMT), an umbrella body of 10 national American Muslim organizations. He currently serves on the board of Interfaith Workers Justice and co-chairs the National Muslim-Christian Initiative. He is also a member of the Taskforce on Global Initiative on Faith, Health and Development. He additionally worked as a consultant on the “Study on Christian-Muslim Relations,” sponsored by the Department of Interfaith Relations of the Presbyterian Church (USA).